I have planted some barley seeds in a box indoors. When the stalks dried out accidentally I noticed that my budgies love it. they keep eating some every day. 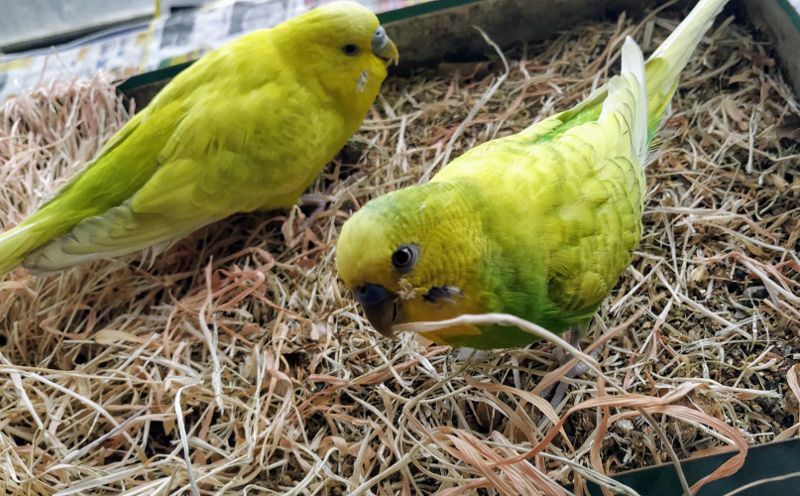 Did anyone try this dried barley hay as food for budgies before? Is it healthy for them? The hay is fine for budgies, and looks like they get lots of fun from foraging! Be sure to not let them overindulge, since they need to have a balanced diet . Great enrichment using natural material.